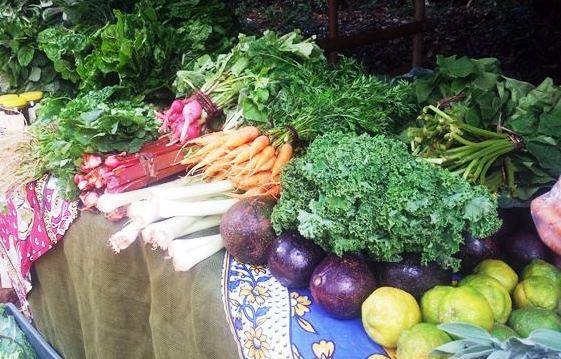 Where can you get organic produce in Nairobi? I badly want to believe my city market vendors when they tell me that their off-season mangoes (which I love) or plump shiny tomatoes have not been sprayed. But the reality is that unless your produce has been labelled certified organic by an independent company like Encert, or you trust your suppliers, it has likely been sprayed with harmful chemicals and pesticides. I can’t give up my mangoes just yet, but I do visit the farmer’s markets when I can, and get my house mama to bring clean sukuma wiki (kale) from her area – she has the inside info. Likewise, you may not be able to go all out organic, but knowing your options (see below) and taking small steps to eat healthier will go a long way towards increasing the demand for clean foods and transparency. Agree? Mlango’s (Encert certified) weekly organic vegetable basket is growing, thanks to Kamande and Els’ dedication to their seven year old farm. Pick up your Ksh 800 basket of seasonal produce from various locations, including Rhapta Road, Spring Valley, Loresho and Riverside. If you have children, book a farm tour or lunch so they can learn about organic food delights and perhaps romp with the horses Waterboy, Melda and Topper. 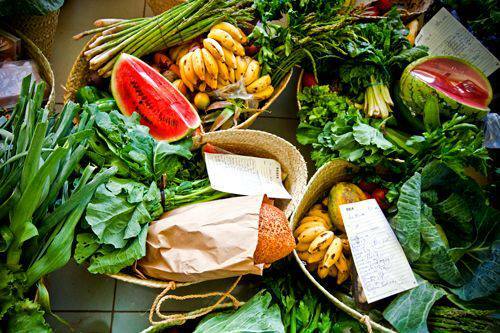 Kalimoni Greens is Nairobi’s largest organic grocery store with an excellent online section and delivery service. Choose from four preselected weekly produce baskets, including a deluxe fruit and veg box or a simple salad box (Ksh 1,000 – 2,000) and perhaps order their natural butter, which I haven’t seen anywhere else in town. Kalimoni delivers three times a week to various locations. 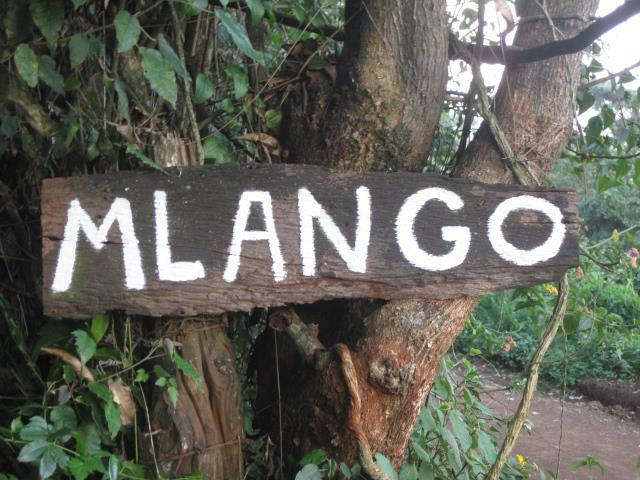 Contact Lilian Kamari at 0722 509 829, email: lillian@kalimoni-greens.com. If you’d rather choose your own veggies instead of getting a basket of assorted items, Organic Foods offers a small range of vegetables, herbs and conserves that can be delivered to you. Minimum order is Ksh 900. Contact Lilian Maremma at 0721 654 683, email lilian@organic-foods.co.ke. The organic avocados, sukuma wiki and sweet potatoes from this small market (Encert certified) are sensational. Look for Himalayan salt from Diadem Naturals and Navida’s organic coconut oil, also available at Nakumatt supermarkets. Select from approximately 50 organic food vendors at this market, hosted by Kenya Organic Agriculture Network. The network will be opening more markets in the near future. Contact Samuel Ndungu at ndungus@koan.co.ke.